of 13 weekly one-mile hikes starting at 10:30 a.m. Those who are interested are welcome to join in the hiking series at any time. Exercise is vital in your overall health. The American Heart Association recommends fitting in at least 150 minutes of heart-pumping physical activity each week. Being physically active is important to prevent heart disease and stroke, which are the nation’s top causes of death. Being physically active boosts your immunity, supplements endurance, and helps with disease prevention. Studies also show that exercise goes a long way in helping cancer patients stay strong through treatments and ward off future cancer reoccurrence. The series will begin Thursday, April 4 at 10:30 a.m. at Centennial Park and conclude back at Centennial Park on June 27 with a Celebration Meal at the park’s pavilion with RSVP to (931) 459-4262. When hiking, it’s important to be prepared. Look to the weather forecast and dress accordingly with comfortable clothing and shoes, take water and a light snack, and wear sunscreen. One may also want to wear insect repellent. 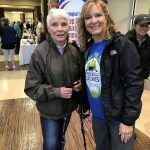 Community partners supporting Hike for Health are Crossville Parks & Recreation Department, Cumberland Mountain State Park, Friends of the Trails, and St. Raphael’s Episcopal Church. Thursday, June 27 at Centennial Park with Celebration Meal to follow with RSVP to (931) 459-4262. For more information, please call (931) 459-7022 or visit www.cmchealthcare.org.